If you’re looking for an affordable medium-duty truck solution for your business, look no further than Ry-Den Truck Center. As the lending provider of medium-duty trucks in Central California, our knowledgeable sales staff have provided local business with reliable, pre-owned trucks bodies and lift gates for more than 30 years. We’re available to help you find the right pre-owned truck to meet your needs. Did you know we offer warranties on our pre-owned trucks? Check out our current used inventory and contact us today to help find the ideal truck for you. 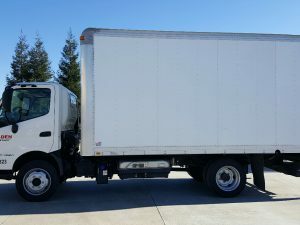 Features: STOCK #5823N – 16 ft. Aluminum van body, TE 20 tuckaway liftgate 2,000# capacity, wood slat lined interior, translucent roof, rear roll up door, air conditioner, AM/FM/CD player, convex rear view mirrors, exhaust brake, 30 gal. fuel tank, GVWR – 19,500, power windows and door locks, cruise control. 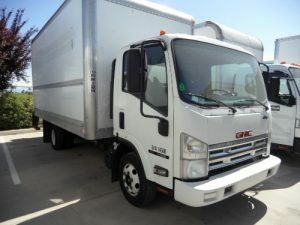 2005 GMC W4500 Make Offer! 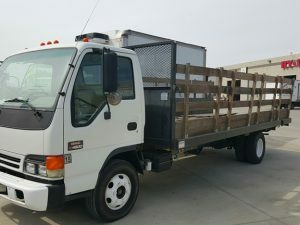 Features: – STOCK #5781P – 18 ft stake body, 42″ high racks with wood slats and steel posts, wood floor, under body tool box, air conditioner, AM/FM/CD, convex rear view mirror, power windows/door locks, cruise control, exhaust brake, GVWR – 14,500. Features: STOCK #6349P – 16 ft. FRP van body, roll-up rear door, hardwood floor, wood slat lined, 2 rows E track, translucent roof, Maxon TE- 20 tuckaway liftgate, air conditioner, AM/FM/CD, cruise control, power windows/door locks, convex rear view mirrors, exhaust brake, 30 gal fuel tank, GVWR – 14,500.